On Friday March 1st Sharyn Ward, currently a contestant on Ireland’s Got Talent, visited our school to sing to the children and to raise the Yellow Flag. 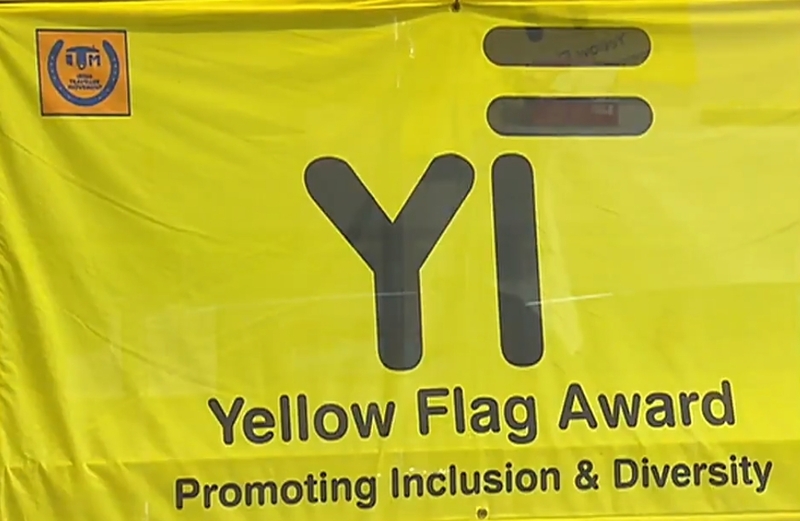 Our Lady of Lourdes was awarded the Yellow Flag for the work we have done on valuing the cultural diversity in our school and challenging inequality and racism. The whole school was involved in the programme alongside parents and community representatives. Next → Next post: 5th class trip to ‘The Dock’ with Junior Achievement.